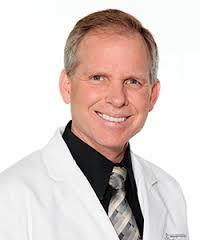 Today, Dr. Willey is the most successful stand-alone sleep practice in the United States. It isn’t always pleasant or easy to speak of one’s missteps. A hallmark of dentistry is “getting it right” the first time and every time. Key to this commitment is a business model that sees 96-99% reimbursement of billed fees from dental insurance, and an EBITDA that reflects the profits they’ve earned . WILLEY WASN’T GETTING PAID . . .
Every weekend event, online course and extra training Dr. Rod Willey attended prepared him for being a dentist who exclusively treated sleep apnea and facial pain. When he was ready to make the final transition to a dedicated sleep practice, he brought in one of the ‘best’ trainers and consultants in the field, to his practice for a month of training, on three different occasions. Dr. Willey wanted to make certain everything was done exceptionally well by his hand and that his staff would not be left to wing it. Training was key and he paid the price for every minute of it. If you have a medical insurance contract, know that the fine print may not allow ‘pass through billing’ which means you cannot charge for anything but the technical component of the Cone Beam CT and home sleep studies. Even though Dr. Willey had qualified doctors that he was paying for the reads of both services, his pay was reduced to only the technical component. Insurance companies will tell you that there is coverage for something over the phone because they are looking at the overall company policy. If they do not look specifically at the Medical Policy for that particular group, they may be giving erroneous information. Willey was quickly told that he cannot go by what he is told over the phone and that he should have done pre authorizations. And so he did. He would pre auth, receive approval and feel confident that he was going to get paid. But that was not the case. Every pre authorization comes with a disclaimer stating “not a guarantee of benefits.” What Dr. Willey learned is that when he sent the medical records and they were reviewed, the patient’s medical criteria meets medical necessity, and therefore the approval was sent. However, even at this step, if that patient’s specific group policy contained an exclusion for the treatment that was being provided, the claim would be denied. Therefore he learned to not only pre authorize, but he also learned to read the medical policy certificates. There are many medical insurance rules that a dental person would not be familiar with including timely filing, medical contracting requirements, medical policy certificates and documents necessary for coverage just to name a few. Willey learned that he can get the best in the business to train him, the best equipment and the best staffing and still not get paid! NOW DR. WILLEY IS GETTING PAID . 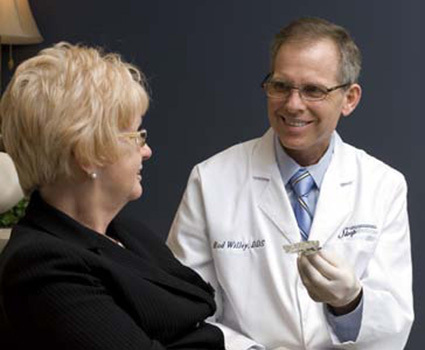 . .
By learning how to think like a physician, Dr. Willey now connects the dots that insure reimbursement for the treatment he offers. Working with Medicare may seem overwhelming. However, once you master the rules, the game becomes easier and more enjoyable to play. He has devised specific internal protocols to follow prior to beginning treatment so proper expectations are set and he avoids potential misunderstandings with patients regarding insurance coverage. Willey started out using dental software and tried to adapt it for medical needs, but in order to truly submit medical claims, he found it necessary to incorporate medical software. He has peace of mind knowing that he submits the proper exam code based on the correct level of the exam. Medical exams are not only based on the amount of time but also the amount of pertinent documentation obtained. A well-trained staff is the key to consistency. On-going staff training is the key to continued growth. Collaborations with other sleep doctors is the key to profitability. He has created reliable, reproducible systems and lives by them. And finally, Dr. Willey can enjoy what he does and has confidence knowing he will be paid for it! The post Medicare Dollars Toward DME Are Cost Effective for CPAP appeared first on Sleep Diagnosis and Therapy.